Lot's of very good information direct from IBF, including draws, tournament details, protocols for choosing competitors, etc. Discussions with IOC are ongoing and future availability will be dependent upon the outcome of those discussions . Please forward any comments directly to the IOC . 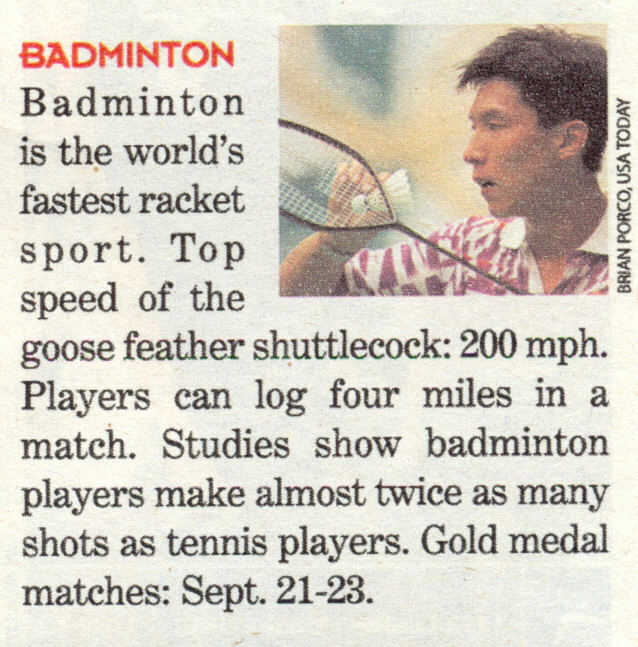 20000910: USA Today actually mentions our sport- and does so in a very positive manner. !